Photo Credit: BMW, or rather Richard Avedon, or rather Richard Avedon for BMW. The clownshoe BMW M Coupe is one of the greatest cars the company ever produced. Also, apparently, it had one of the strangest brochures I have ever seen. I personally love the 1998 to 2002 “M-shoe” as it is affectionately known. It was a straight-six breadwagon engineered after hours away from prying eyes of bosses who might have thought it looked abhorrent. Somehow, the ugly duckling got put into production and has become a bit of a cult classic, even sitting in the hallowed halls of the Jalopnik Fantasy Garage. Also, somehow, this brochure, which I spotted on this lovely repository for old brochures, exists. Now, in addition to making sweet, straight-six performance cars (like the M-shoe), BMW produces art cars, which got kicked off when Calder painted a buddy’s 3.0 CSL for Le Mans in the ‘70s. BMW made the M-shoe. BMW wanted to promote the M-shoe. BMW liked art. 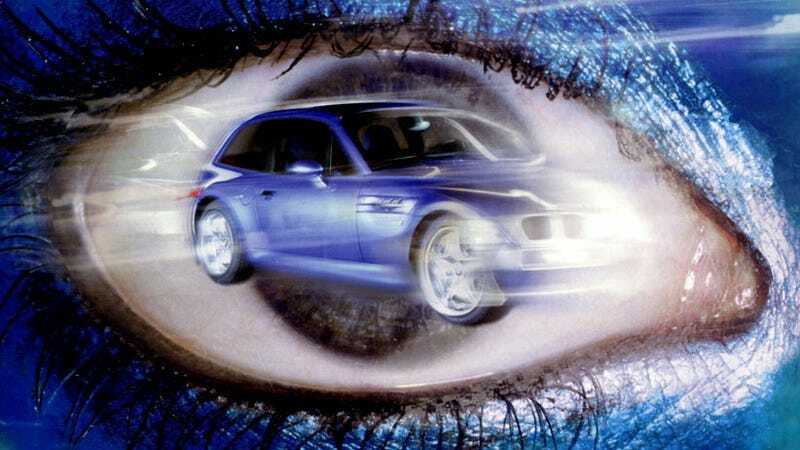 BMW used art to promote the M-shoe. The artists: Anton Corbijn, Bettina Rheims, Michel Compte, Richard Avedon. The art makes up the brief brochure. As there is also a page showing at least just a little tiny bit about the M-shoe’s stiff structure, at least, its structure that was stiffer than the open-topped roadster version from which it was derived. Each artist’s set got its own promo film as well. BMW also liked films, making the lovely BMW Films series of short films focusing on BMWs. I say all of these things as if they explain this brochure, but really it’s not something that I really can explain. It remains inexplicable. It’s art? It’s art.